The Minister for Justice and Equality must reconsider a family reunification case after the High Court found six key administrative law deficiencies in the decision-making process. Two children, residing in Ethiopia with their elderly father, submitted applications for “join family” visas so that they could join their mother and severely disabled brother in Ireland. The applications were refused, and the Minister refused their appeals in circumstances where Mr Justice Max Barrett said that the decision-maker was guilty of a Pfakacha-style failure of reasoning. Ms Nuurto Abdikadir Ahmed, an Irish Citizen, is the mother of three children – two of whom are Somali nationals resident in Ethiopia and one resident in Ireland. Her Irish-resident son suffers from a physical disability and an illness so severe that Ms Ahmed cannot work outside the home – and therefore cannot earn any income additional to her carer allowance. Her two children residing in Ethiopia, Abdirahman Mohamed Osman and Leylo Mohamed Osman, live with their father, who is claimed to be of such an age that he finds caring for his children difficult. In October 2016, Abdirahman and Leylo Osman applied for two “join family” visas, and in May 2017, the Irish Embassy in Addis Ababa advised the Osmans that their visas had been refused. In July 2017, the Osmans appealed; however, the Minister for Justice and Equality refused the appeals in October 2017. In the High Court, Mr Justice Barrett identified six key deficiencies in the appeal decisions. Firstly, in considering the health of the Osmans’ father, the Minister’s decision concluded that no medical documents were provided, however, Mr Justice Barrett said that this was wrong and that “in fact, medical evidence was provided and clearly not perceived to be such”. The second deficiency was that the appeal decisions indicated that the officer “…considered all matters and documents submitted with regard to the application and whether there [were] any special circumstances”, concluding that there were none. Since this was an intended reference to paragraph 1.12 of the Department’s Policy Document on Non-EEA Family Reunification (December 2016), which states that decision-makers retain the discretion to grant reunification in “rare cases that present an exceptional set of circumstances”, Mr Justice Barrett said that a different test was brought to bear. 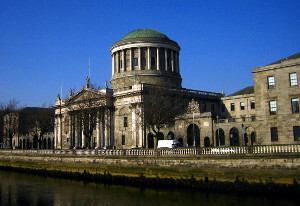 Furthermore, Mr Justice Barrett said that the reasoning was inadequate in circumstances where Ms Ahmed’s Irish-resident son has a lifelong physical disability; her son is so unwell that she is in receipt of a carer’s allowance and cannot take up paid employment so as to bring herself above the financial thresholds in the Reunification Policy; and that a specialist medical doctor indicated that Ms Ahmed’s son would “benefit hugely from reunification with his siblings” – notably without any contrary medical evidence on file. Mr Justice Barrett said that for the decision-maker to state flatly that no “special circumstances” presented of the type contemplated in paragraph 1.12 of the Reunification Policy, s/he was guilty of a Pfakacha-style failure of reasoning (Pfakacha v Minister for Justice and Equality  IEHC 620). This was the third deficiency so identified by Mr Justice Barrett. The fourth deficiency was the decision-makers reasoning for disregarding the medical registrar’s evidence, which Mr Justice Barrett said was “to act wrongly and unreasonably”. In this regard, the appellants had submitted a letter from a medical registrar at a renowned health-service provider where Ms Ahmed’s Irish-resident son is treated. The letter indicated that the risk of social isolation of Ms Ahmed’s Irish-resident son is such that “[h]e would benefit hugely from reunification with his siblings”. The decision-maker disregarded the letter citing “no clear link between this doctor” and Ms Ahmed’s son. Criticising this, Mr Justice Barrett said that “if a practising medical professional writes a letter concerning an individual it must be because s/he considers that professionally s/he is positioned to do so”, and that if there was concern that the letter was “somehow phoney” or unprofessional, there were ways of addressing this – however, no such circumstances were alleged to present, therefore the letter should have been treated as a letter written by an informed medical professional competent to write the letter. The fifth deficiency identified by Mr Justice Barrett was the internal inconsistencies in the appeal decisions concerning the source of wired monies from Ms Ahmed to her children in Ethiopia. The decision-maker did not suggest criminality on Ms Ahmed’s part, nor any undeclared income, appearing to accept that welfare payments were Ms Ahmed’s sole source of income; yet concluded that it had not “been sufficiently evidenced where these [wired] monies originated”. Mr Justice Barrett said that the money wired “could only have come …from what she managed to scrimp from the benefits received”. The sixth and final deficiency was the finding by the decision-maker that Ms Ahmed provided “[n]o evidence of social support …such as letters, phone calls, emails, etc” in circumstances were Ms Ahmed claimed in her appeal that she spoke to her children every day. Mr Justice Barrett said that if Ms Ahmed did not claim to correspond by email/ordinary mail with her children, it was “difficult to see why it would count against her that she does not provide copies of emails/ordinary mails”. remitting the applications concerning same to the Minister for reconsideration in light of the within judgment.